Roll Wrapped Carbon Fibre Tube - 280 x 10 x 0.5mm. Very light and extremely strong. Perfect for multicopter builds and modifications. As the second picture shows, they can be used as load rails for mounting gimbals and batteries. 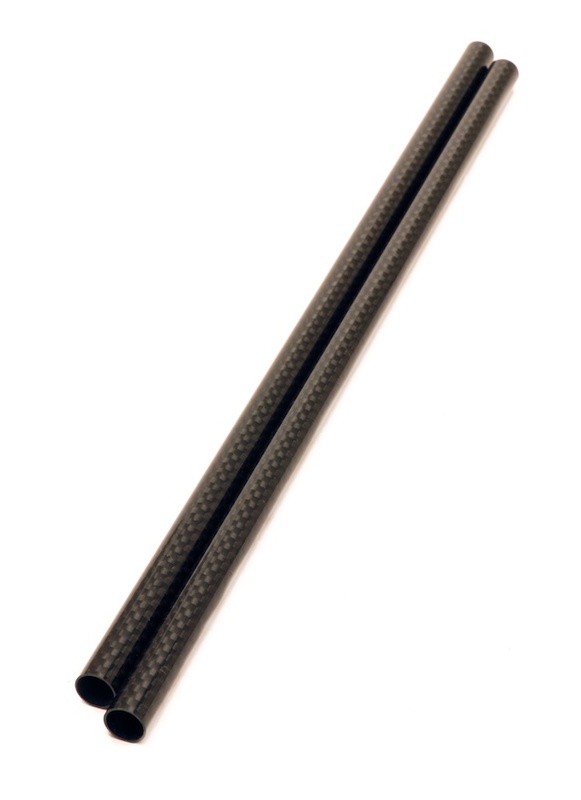 We also sell a carbon fibre battery mount which is compatible with these tubes.